Since Josie’s from Brooklyn, we thought we should feature some good news from the borough: Starting Jan 1, 2018, Prospect Park is 100% car-free. That means it’s safer than ever for bikers, runners, pedestrians, roller skaters and skate boarders. And the air will be cleaner. The Fourth Grade Bike Brigade is happy! Those of you who read Josie and the Fourth Grade Bike Brigade will remember that the kids wanted to ride to school to reduce the amount of gasoline they used. Burning gasoline is one of the big causes of global warming. 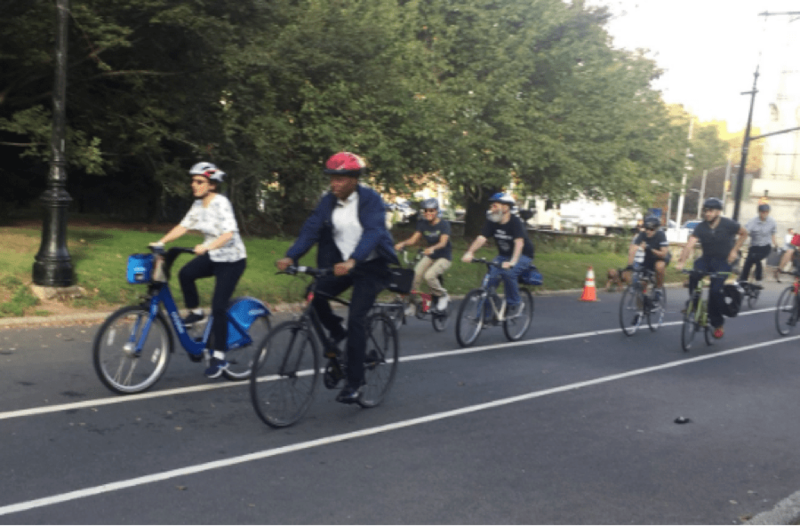 But it took a lot of organizing to get the kids to ride, and it took some convincing to get the grownups to agree to paint bike lanes to make riding safer. The same thing happened in real life Brooklyn. Groups like Transportation Alternatives have been pushing for a car-free park for years. Cars used to drive any time on the park’s main road. Then they were banned on weekends. Then they were restricted only to rush hours, and then reduced to one lane. Meanwhile, people have not been waiting around for the rules to change. There are more people using the park than ever. But having those people share the road with cars isn’t safe. It’s too crowded on the road. People wrote letters and organized protests until they won! Finally, last fall Mayor Bill de Blasio announced that starting January 1st, no cars are allowed in the park at all, except for emergency vehicles. Basically, the bikes and the runners took over. And the mayor and his staff finally realized that cleaner air and a safer park went hand in hand. Gotta stop writing this blog now. It’s time for a ride in the park!